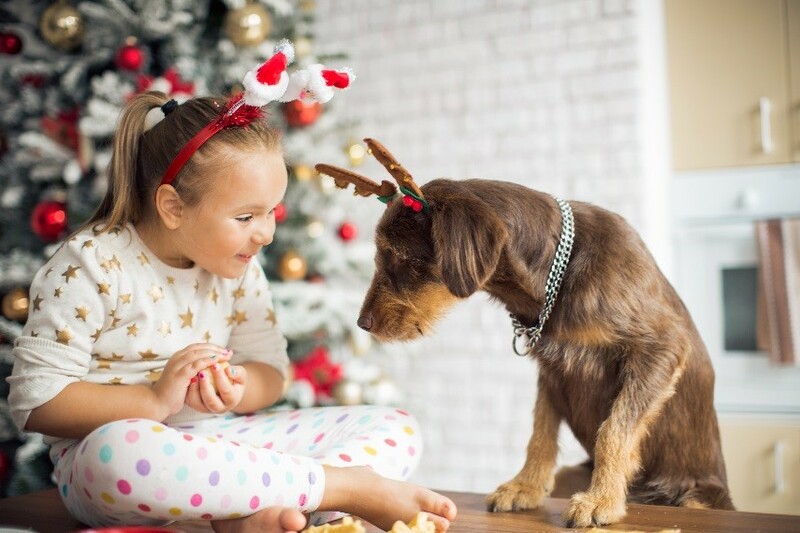 Chocolate, grapes, raisins and sultanas are poisonous to dogs, so keep your pets away from the Christmas table…especially the Christmas ham…and secure your rubbish bin lids. Christmas cake is definitely off limits, and if you want to make sure Aunt Sally gets her box of Roses, don’t leave them, or any other edible gifts, under the tree! It’s also a good idea to keep your cats away from sweet-smelling Christmas lilies – these can cause kidney failure, even if just a small amount is ingested. Those eyes! We know it’s hard, but don’t be tempted to feed your pet any leftovers – most are too fatty (for our pets, not us!) and can cause upset tummies and nasty episodes of painful pancreatitis. Importantly, throw away all those cooked bones and watch out for skewered meat that falls from the BBQ. Secure your Christmas tree so it doesn’t tip or fall. Don’t let your pet access tree water and keep any wires and batteries out of paws’ reach. Kitties love tinsel and Christmas lights, but these sparkly “toys” can lead to an obstructed digestive tract if swallowed.